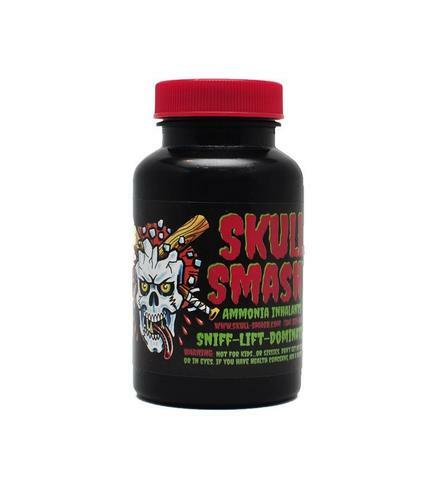 Skull Smash Ammonia Inhalant – Strength Apparel Co.
Skull Smash Ammonia Inhalants are some of the most potent, longest lasting inhalants in the world. They come in a variety of label choices for your preference. No matter which label you choose, it's all "Skull Smash" inside. SKULL SMASH REGULAR is the first ever product from the SKULL SMASH ammonia inhalant series. Other than the potent and long lasting smell, it comes with SHARP & PUNGENT feel. It's like getting punched right in the face, shocking your entire nervous system! 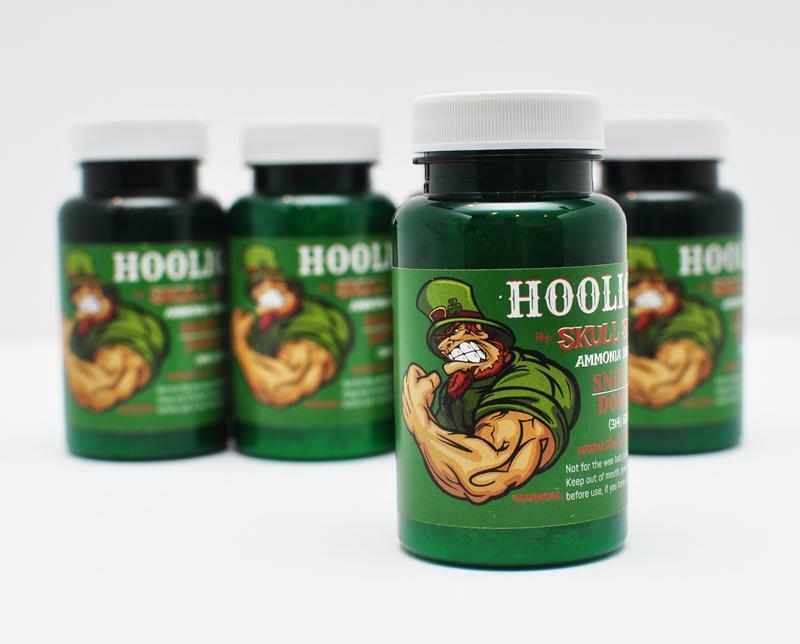 SKULL SMASH MENTHOL, just like the regular SKULL SMASH, but with the additional compound of menthol; it gives a cooling effect providing a much smoother inhaling experience. LIMITED EDITION SKULL SMASH infused with the scent of real American Whiskey!!! It's very potent, and hits you hard but with the added awesome bonus of the feeling that you just did a shot of whiskey straight to the brain. 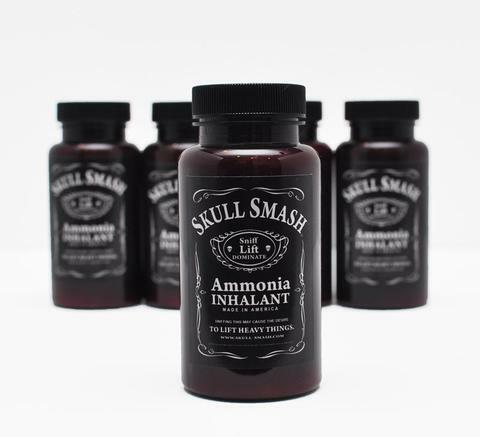 Skull Smash Ammonia Inhalants are some of the most potent, longest lasting inhalants in the world.